Galaxy Note 2 screen repairs, please tell us your model. Is the glass of your Samsung Galaxy Note 2 broken and the LCD defective? - If your phone looks like in the picture, then the glass is broken and the LCD is defective. 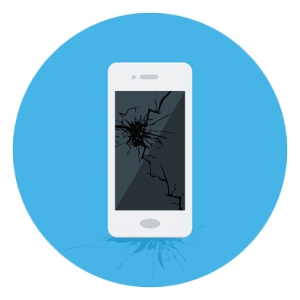 Our skilled technicians have repaired thousands of phones and we can guarantee that your Samsung Galaxy Note 2 will work perfectly again. We carry out express repairs in our own workshop, i.e. we do not send the phone to another service provider. This allows us to have the fastest and cheapest service in the market.